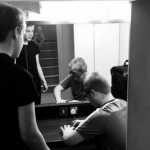 VIP Studio Sessions, the online music education platform for 11-16 year olds, has launched a new resource to help students explore music production to help them make their own genre of music. A large part of … read the rest. Dubstep has always been a popular genre in EDM (Electronic Dance Music), along with its many subgenres including Brostep (popularised by Skrillex), Chillstep and Metalstep (popularised by PhaseOne). But one genre rising … read the rest. 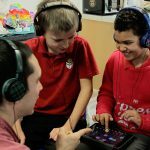 Written by Charanga’s SEND technology specialist Ben Sellers, each project has in-depth video and planning support which show how to use iPads to compose, improvise and perform in SEND settings. The projects are designed to work across the whole spectrum, from PMLD settings to PRUs. … read the rest. 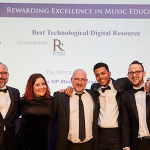 Photo credit: Matthew Walder We are delighted to announce that VIP Studio Sessions has won Best Digital/Technological resource at the 2018 Music Teacher Awards, sponsored by Rhinegold Publishing. VIP, an online music education platform for … read the rest. The popular secondary music education programme VIP Studio Sessions has launched another new set of tutorials for secondary schools in the UK – Afrobeats. This new and exciting type of music, often requested by students, is … read the rest. 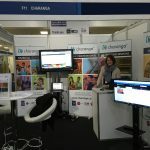 Charanga are delighted to be exhibiting and presenting again at the Music and Drama Education Expo 23-24 February 2018 at London Olympia. With over 80+ CPD sessions, spanning panel debates, Q&A’s, practical workshops and seminars, it’s a chance … read the rest. VIP Studio Sessions, the online music education platform to help teach popular genres in schools, is launching a dedicated Facebook group for teachers and a VIP blog. After launching our new Facebook page, we have created … read the rest. 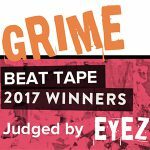 We are very excited to share this brilliant rap video that features dozens of beats all made by young people in and out of school using VIP Studio Sessions – the winners of our 2017 Grime … read the rest. 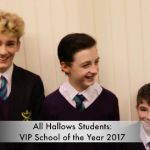 One of the most exciting aspects of the VIP community is the way in which every educator seems to bring their own fresh approach to how it’s used, and we find that we are constantly surprised … read the rest. 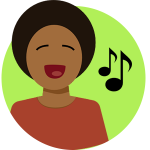 Charanga Sing is a brand new teaching resource aimed at encouraging everyone to sing more! Extensive research has shown the undeniably positive impact singing has on emotional, physical and mental well-being. This is the reason why … read the rest.